Sedona is an incredible place to heal, to pamper yourself, or to just relax. Call Candace at 928-300-9303 to set up your appointment. TurboSonic® X7 Whole Body Vibraion Machine with Sound Frequencies. 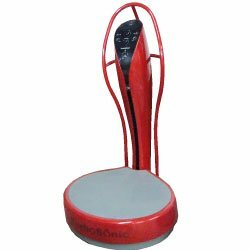 A sophisticated exercise and wellness machine that uses patented sonic vibration technology based on decades of Russian research and development. During the first extended periods of time Russian cosmonauts spent in space, it was observed they experienced bone and muscle tissue loss due to a lack of gravity. In an effort to stop or reverse these degenerative conditions, researchers were led to the whole body vibration (WBV) technology. 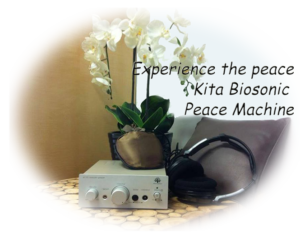 The Kita Biosonic Peace Machine applies vibration and sound frequencies on the mind, body and spirit. While lying on the massage table, headphones and sound are adjusted for your comfort. 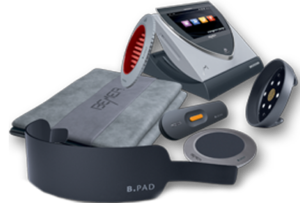 You will hear healing music as you are massaged with the cushioned transducer which translates the music into frequency and vibration. It’s like being massaged by music. The Kita Biosonic Peace Machine introduces specific sound frequencies calming and nourishing the body systems to produce a state of balance. This session is the best stress buster ever!!! A 45 minute session is like receiving a whole body massage. No need to disrobe for this session. Access Bars is a modality of Access Consciousness. The Bars are points on the head that when held create a bar of light or energy. Having an Access Bars session is like reflexology for the head. This session can help create positive change in your world and is very relaxing. Book your healing session today!